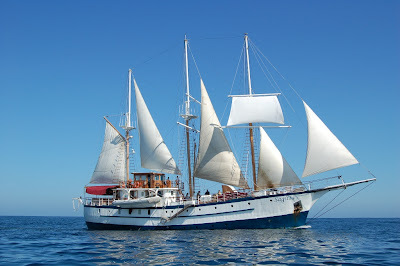 Lodging: 10 double cabins with double lower bed and single upper bed. All cabins have private bathrooms, hot water showers and A/C. 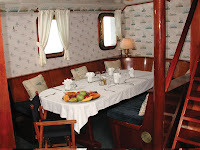 6 Cabins are located on boat deck and 4 on lower deck. Spacious sundecks, comfortable dining room, conference and video room, salon, bar, two TV, one VHS, library, one computer and air conditioning. Thursday South Plazas Is. – Santa Fe Is.